Middle (clockwise from the upper left): Thick, Flat, Very Thin, and Thin styles. These are real Zulu beaded bracelets from South Africa or the Congo made with glass beads. They come in various colors and styles. 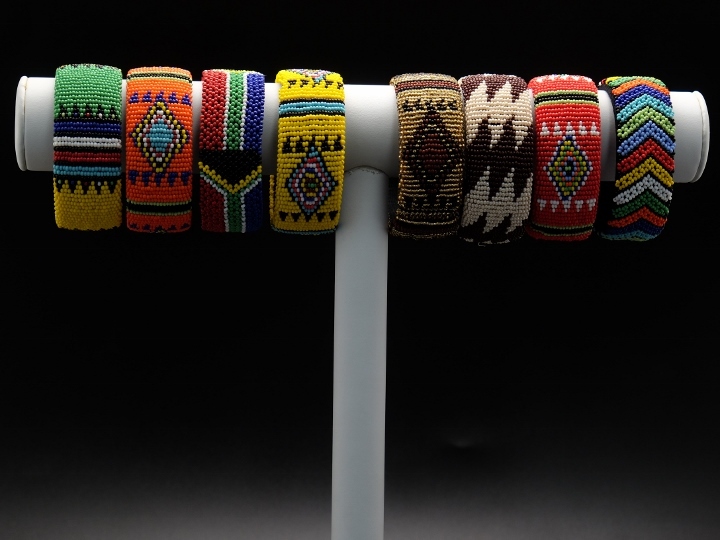 The Wide bracelets are 0.75" to 1" wide. The Very Thin bracelets are approximately 7.25" long with the clasp (6" long without the clasp) and 0.25" thick. 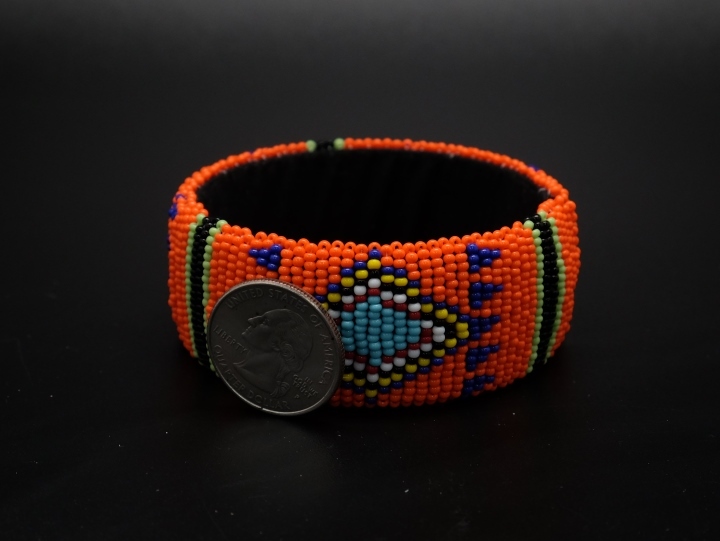 The thin bracelets are approximately 3.75" in diameter and 0.5" thick. 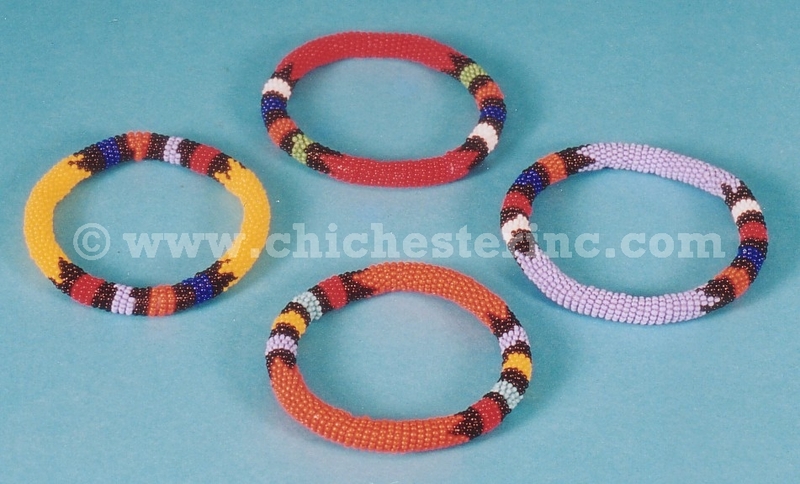 The thick bracelets are approximately 3.75" in diameter and 0.75" thick. 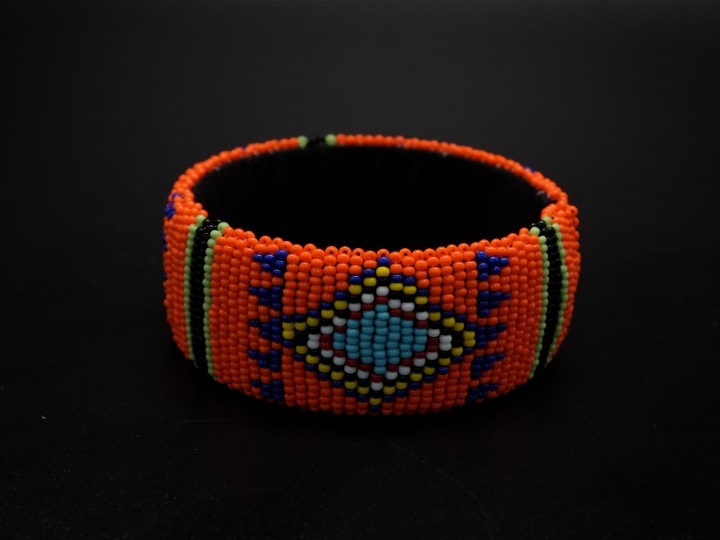 The Flat bracelets are approximately 8.25" long overall (7.25" without the clasp) and 1" wide. See pictures of my trip to Greenpoint Market in Cape Town.